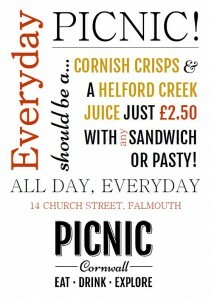 We think that everyday should be a picnic – and a Cornish picnic at that! 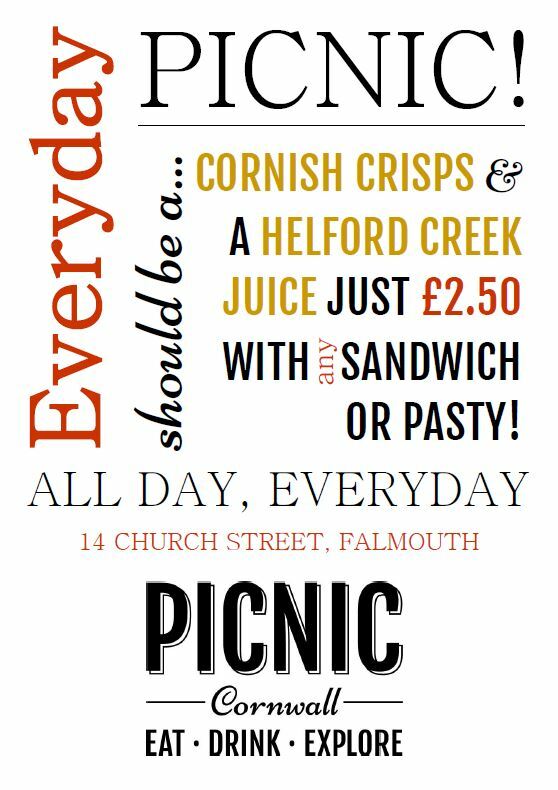 That’s why we’ve brought our yummy Cornish Crisps and delicious Cornish juices from the Helford Creek together to bring customers our “Make it a Picnic” deal! Customers buying one of our yummy pasties from The Posh Pasty Co, or sandwiches filled with our delicious Cornish goodies can add any juice and packet of crisps for just £2.50! We love seeing customers enjoy the food that Cornwall has to offer – and we love offering a bit of a bargain! Make it a Picnic!